With this wonderful weather, I longed to find a good country-style pub surrounded by glorious greenery, possibly a bit of water, a lot of authenticity and of course good food. 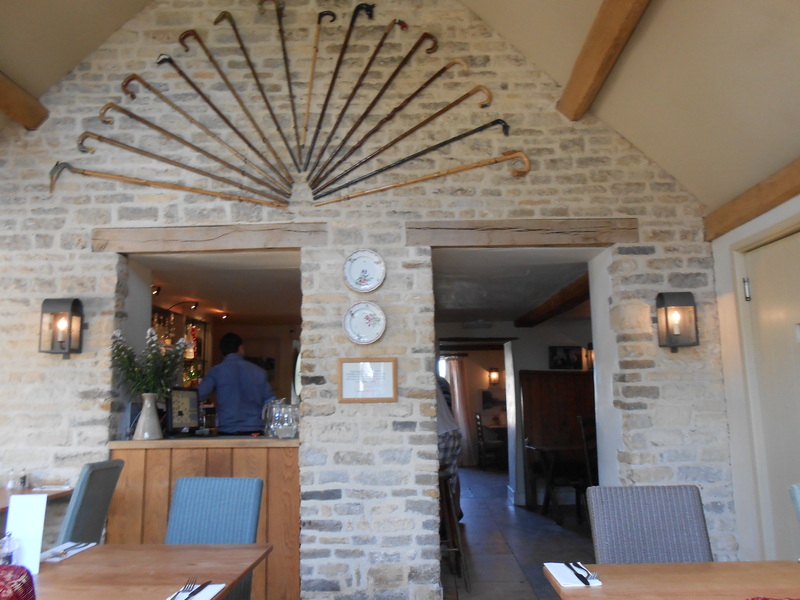 This is why I settled on the Swan Inn in Swinbrook, of which I had heard many good things. 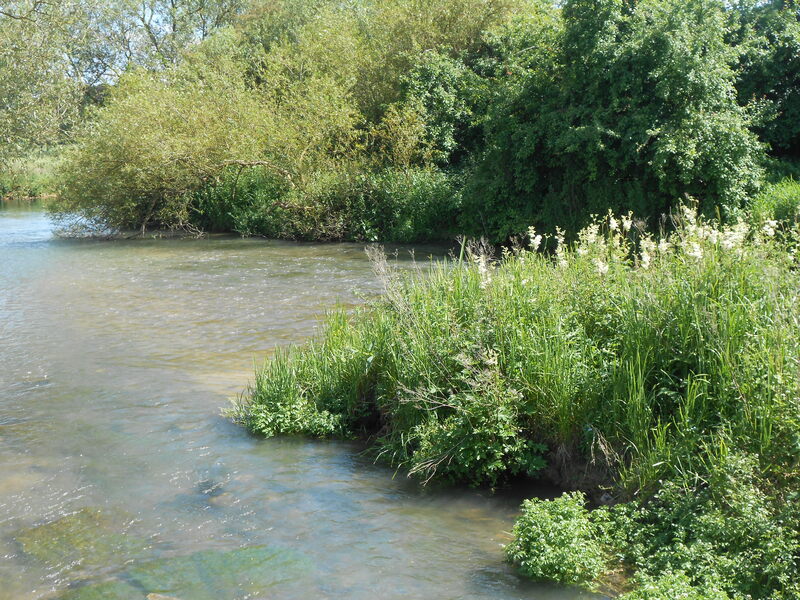 The pub is easy to find, just off the A40 between Witney and Burford. However, parking was rather difficult, especially if you have the space awareness of a drunk chimp on a bad day. If you are a good driver though, you might just find it a bit tight. The moment I stepped out of the car, I knew I had made the right choice. 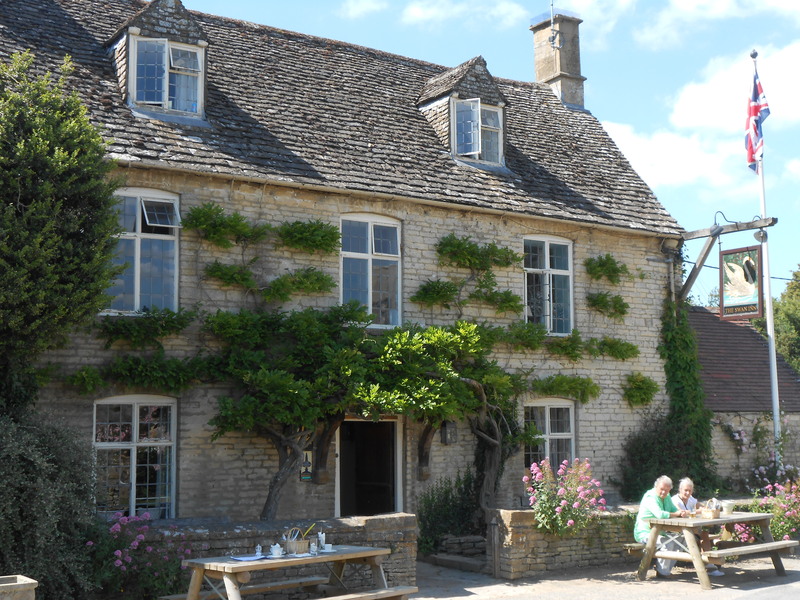 The surroundings are lovely as the pub is located on the river Windrush and surrounded by the gently rolling Cotswolds countryside. There is also a well-tended good sized garden with a very original henhouse and roaming chickens. Given the soaring temperature though, I opted to eat inside. I was pleasantly surprised to find that if the outside of the building is rather charmless, they made up for it with the inside decoration which is light, airy and fresh but never twee. The seasonal menu was enticing too with locally sourced meat and vegetables but again, on a hot day, we opted for a shared mezze platter, an antipasto platter, side fries and side salad. Even if most of our meal consisted of cold meat, the attention to details and the quality of the meat means I really enjoyed eating there. Another thing they did well is the salad dressing, which was home-made and light in taste. For me, this is always a good sign a restaurant is authentic as I can’t stand being served the creamy ready-made sugar laden stuff, nor merely salad leaves as if I were a rabbit. I finished the meal with a dessert because I had a review to write after all. Needs must. My white chocolate brownie was simply divine, melt in the middle and sweetly comforting. The Eaton mess I tasted from my friend’s dessert (it’s always good to have friends who will help you do research) was equally tasty and faultless, the perfect dessert for the weather. One last word for the staff, who were pleasant, efficient and knowledgeable about the food they served. I will definitely come back to the Swan Inn to taste a meat dish as this was my only regret on the day. Thumbs unquestionably up. I’ll take you there if you come, it is very Cotswolds indeed.